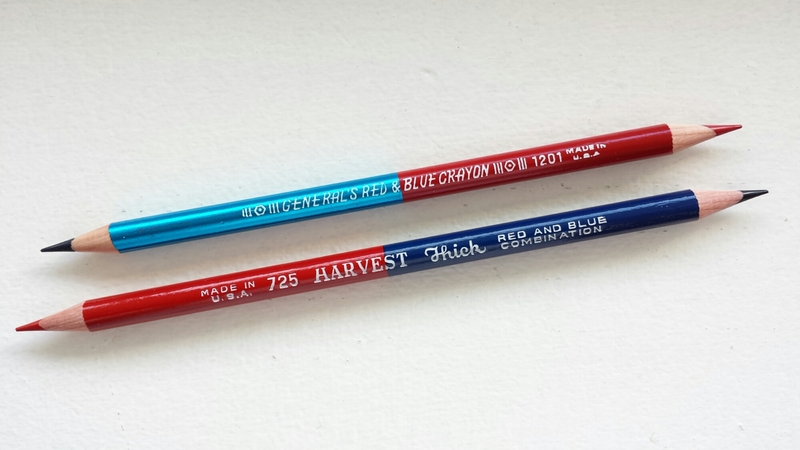 Here are some modern American red-and-blue pencils: a General’s Red & Blue Crayon 1201 and a Musgrave Harvest Thick 725 Red and Blue Combination pencil. The Harvest is actually pretty good, the colors strong and the core smooth. 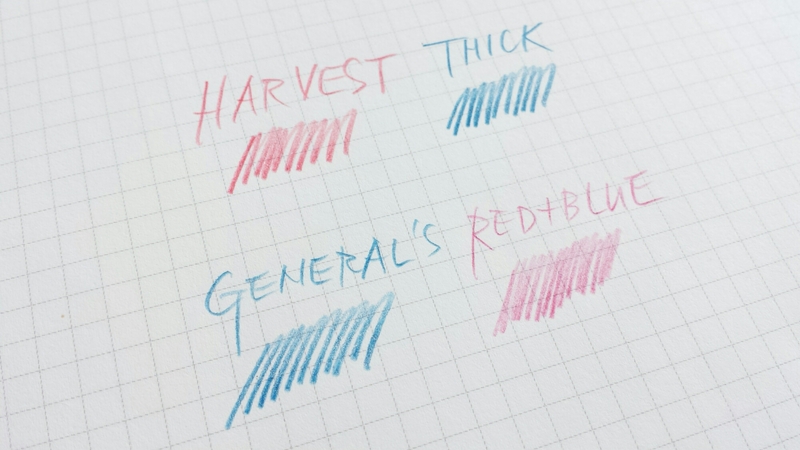 But core centering is just terrible (something I also noticed about Prismacolor Premier colored pencils). Up until now I only knew of two ways to tell whether the core was off-center: one, looking at the ends; and two, sharpening them (which is inconclusive because it may be your sharpener that’s off center). Now, thanks to the Musgrave Harvest, I’ve discovered a third clue. 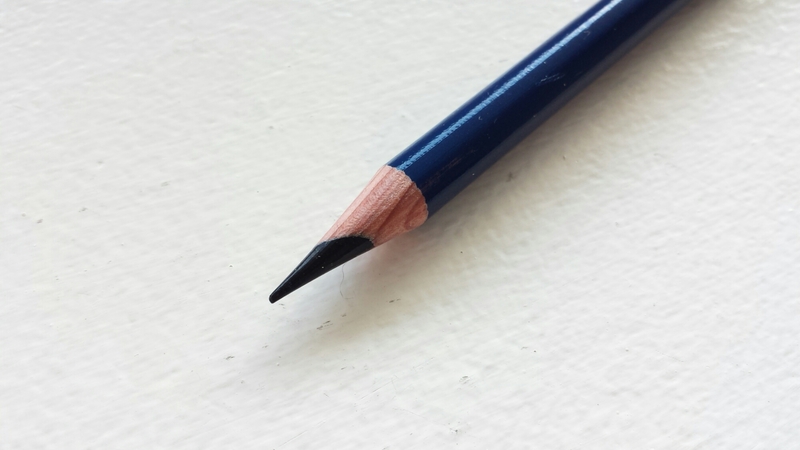 If you roll an off-centered pencil on a flat surface, it won’t roll evenly, but will swing like a pendulum where the core weighs it down (i.e. where the wood is thinner). Interesting, but I wish I didn’t have to know. I don’t like the General’s. The reflective surface is a bit garish, and the colors are weaker. The red in particular writes as though it contains only half the pigment, with the unpleasant feel of something like styrofoam rubbing against the paper. I don’t think I would have bought this if it had been pre-sharpened and thus available for testing in the store. I would recommend the Harvest, but only if it’s properly centered.